The Long Way... is an imaginative, poetic and imagistic exploration of a man’s incredible ocean voyage – a nonstop single handed circumnavigation of the world – both a physical journey of his encounters with the Sea and his spiritual journey towards the discovery of himself and his truth. After battling doldrums, gear-failures, knock-downs, overwhelming hunger, fatigue and loneliness, a violent storm completely shatters the man’s boat and leaves him adrift in the vastness of the pacific. When all is lost, his voyage takes on a mythical dimension. 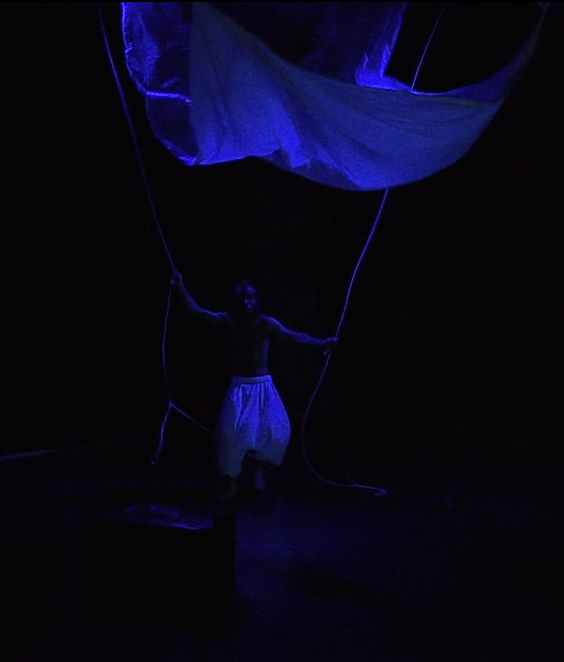 The Long Way combines shadow puppetry, physical theatre, and storytelling.